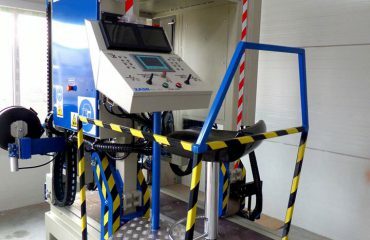 Welding portal - EN - ZWM Dojnikowscy Sp. J. 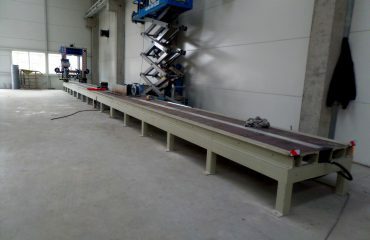 Application: Longitudinal welding of beams with T-shaped and I-Tie profile with a web height of 1600 mm in pos. 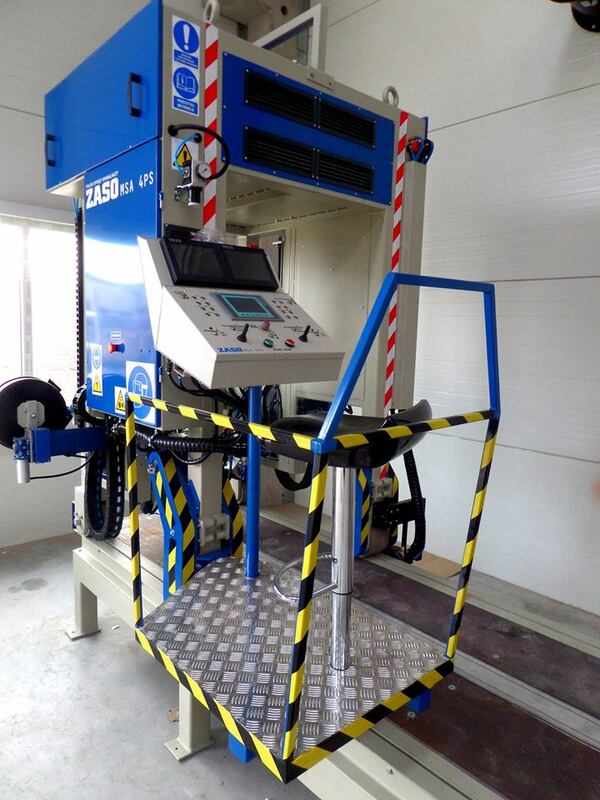 vertical web with automatic burner position correction (optional), hydraulic pressure compensation and universal water tight grip table. 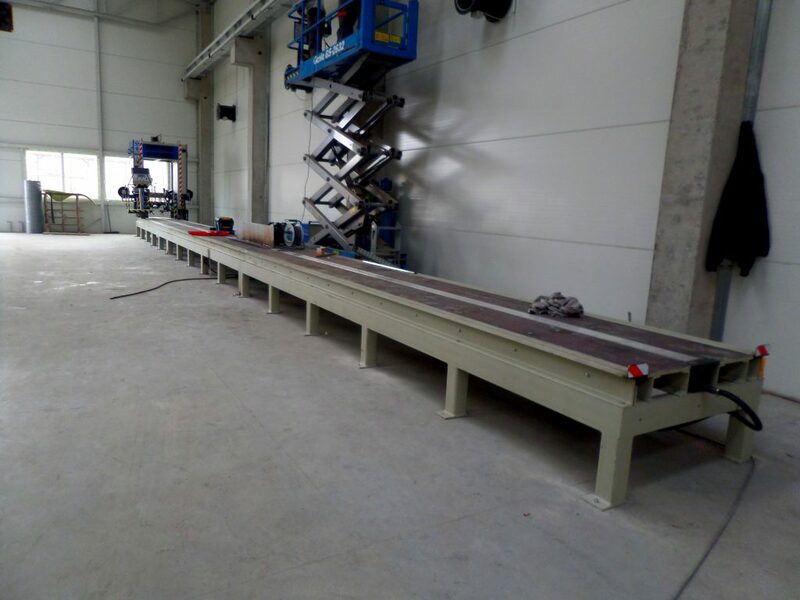 Description: Gantry portal with clamping system and fixing of welding heads – mechanized, moving on a modular track, with a length, according to the assumptions, a multiple of 6 m (assumed 3 sections). 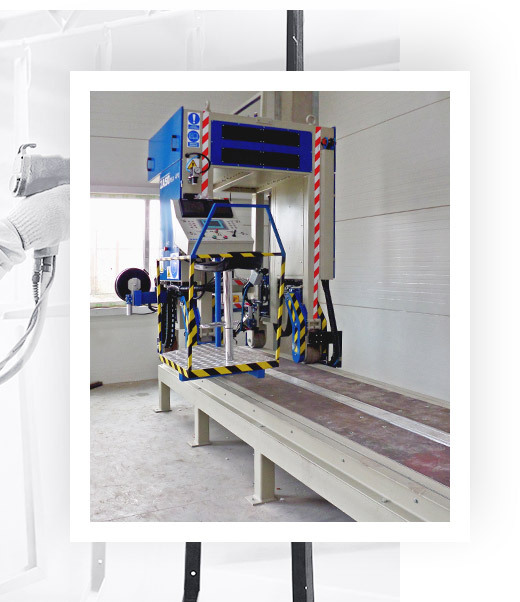 The internal dimension of the portal allows the welding of products with a maximum height of 1.6 m and a width of 0.8 m. An important innovation is integrated in the portal of the upper pressure of the structure (eg welded sheet metal), adjustable in the range of 200 to 1000 kg.